Apple’s shock announcement that its quarterly revenue will come in at $5bn below its expectation has led to a widespread fall in tech stock prices. In a surprise move, Apple chief executive Tim Cook wrote to investors last night to warn that it expects revenue of $84bn (£67bn) for the three months to 29 December – down from its November forecast of $89bn. 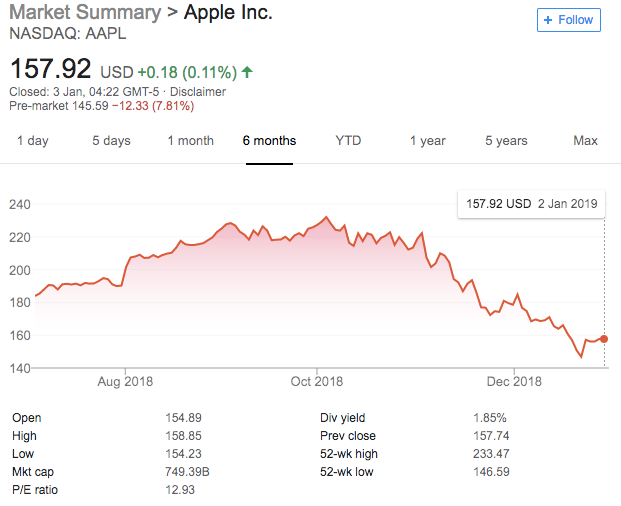 The festive season is usually Apple’s strongest quarter and shares in the company have already fallen by nearly 30% since November. Apple’s share price dropped by 7% in after-hours trading, while several of the world’s biggest tech brands, many of which are heavily reliant on digital advertising, also fell. Amazon was down by 3% in after-hours trading, while Chinese counterpart Alibaba was down 1.7%. Facebook and Google owner Alphabet, the world’s biggest online advertising platforms, were down by 1.5% and 1% respectively. Cook’s announcement blamed economic weakness in China for slowing sales. "We believe the economic environment in China has been further impacted by rising trade tensions with the United States," Cook added. However, Cook also acknowledged that fewer customers than expected had upgraded their smartphones. He continued: "We believe there are other factors broadly impacting our iPhone performance, including consumers adapting to a world with fewer carrier subsidies, US dollar strength-related price increases and some customers taking advantage of significantly reduced pricing for iPhone battery replacements." Last year’s launch of the iPhone XS, the latest version of the 12-year-old smartphone, was the brand’s most expensive to date at $999 for the most basic model. In Apple’s fourth-quarter earnings in November, sales were just barely up year on year for iPhones (46.9 million), while iPad sales were down 6% to 9.7 million and Mac computers down 2% to 5.4 million. 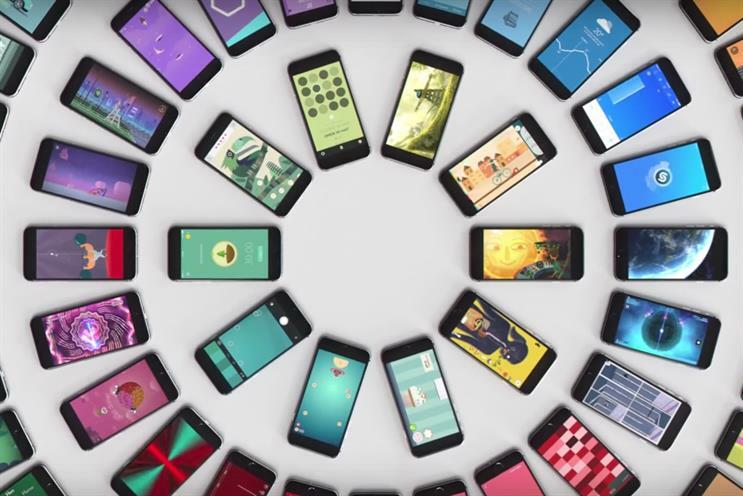 Higher prices for smartphones, combined with older devices being faster and lasting longer than in previous years, mean that people are not upgrading their phones as often. In 2014, the average upgrade cycle was 23 months, but this rose to 31 months in 2018, 9to5Mac reported. Have we hit hit peak Apple?